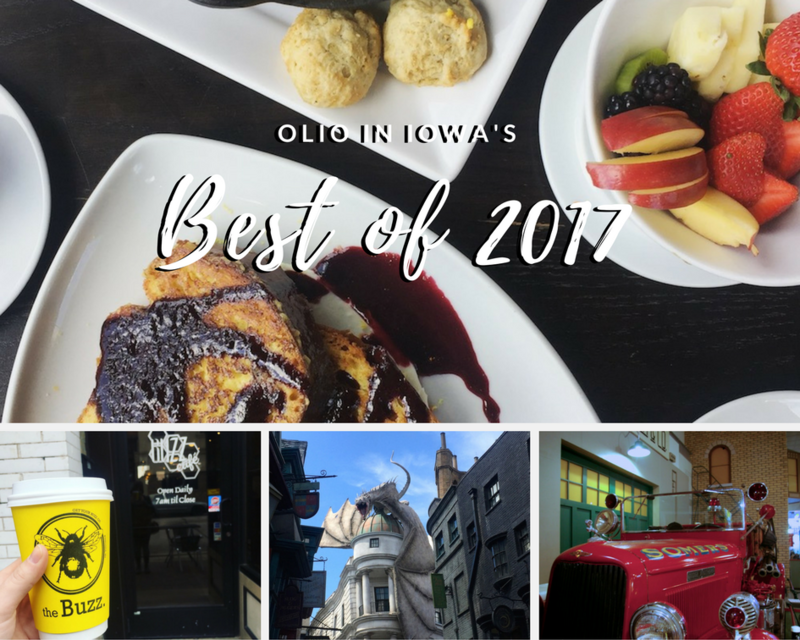 It wasn’t until I started looking back on Olio in Iowa’s best of 2017 that I realized how many new places I’d explored in the last year. It’s always interesting to see which posts resonate most with my readers, and this year is no exception. Working in a contemporary art museum means I spend a lot of time surrounded by art. 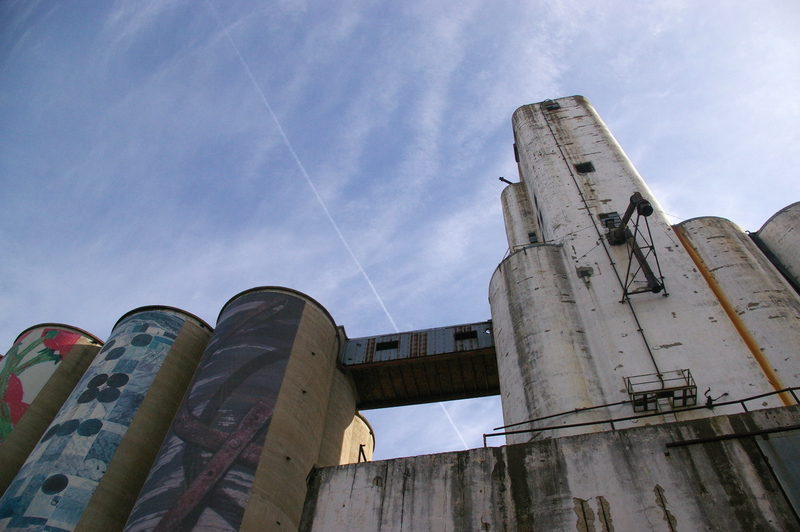 So it shouldn’t be too much of a surprise that when I travel I often seek out arts and cultural attractions. 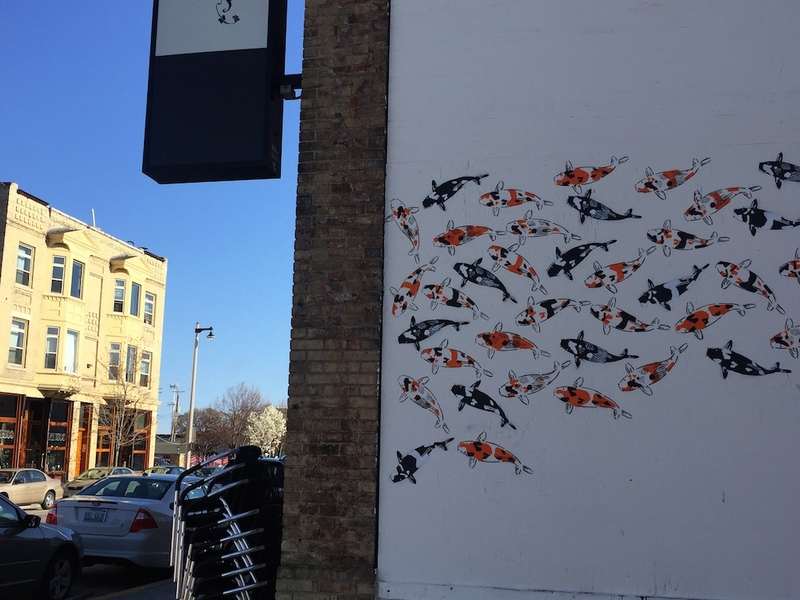 Earlier this year I spent some time in Wisconsin and was surprised to discover that Milwaukee is home to a vibrant public art scene. 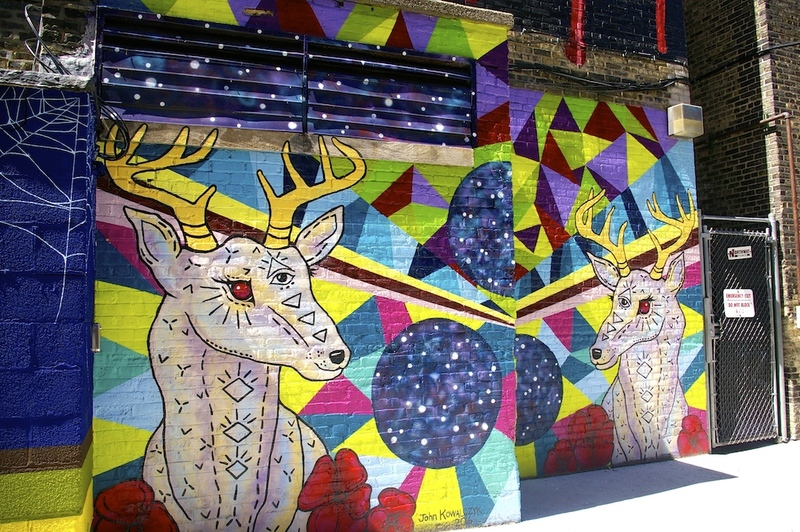 Wandering the streets of Milwaukee, it seemed like every corner or unassuming alleyway burst with color and unexpected inspiration. 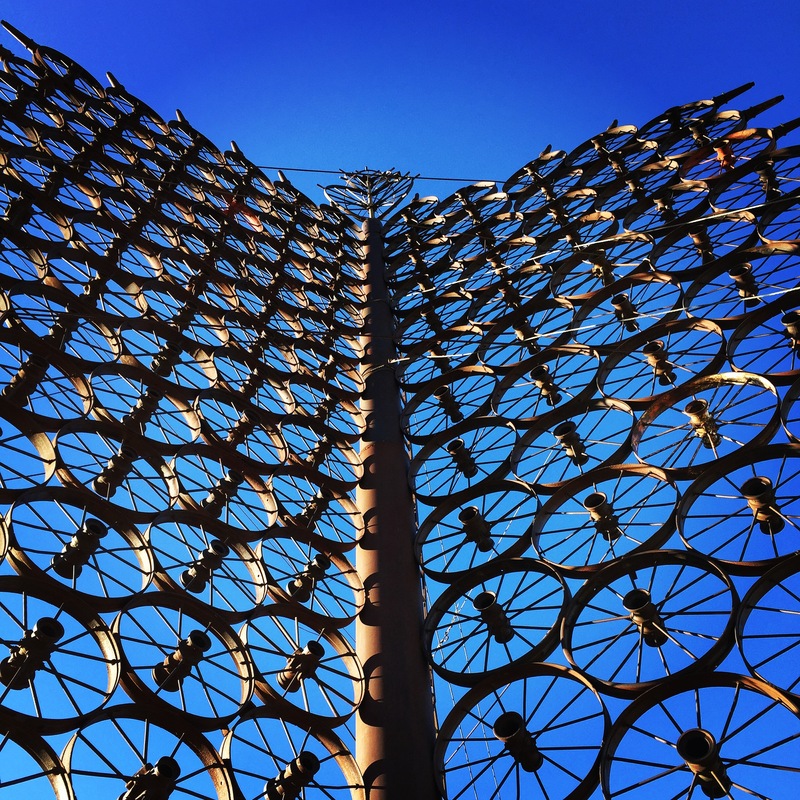 If you’re headed to the city anytime soon, I highly recommend you explore Milwaukee public art from one of its newer epicenters in Black Cat Alley and beyond. 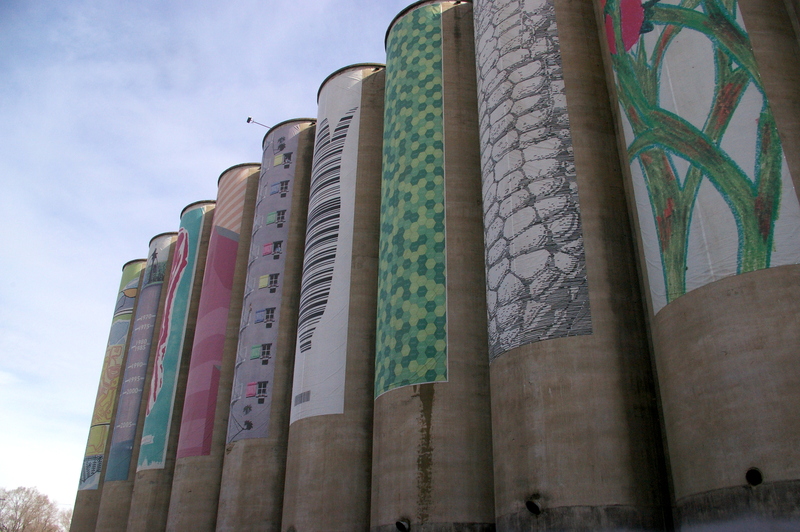 There are tons of incredible murals I didn’t have time to see, but a few of my favorite places to experience the city’s public art are below. I wasn’t quite sure what to expect when I found an entry about the L.J. 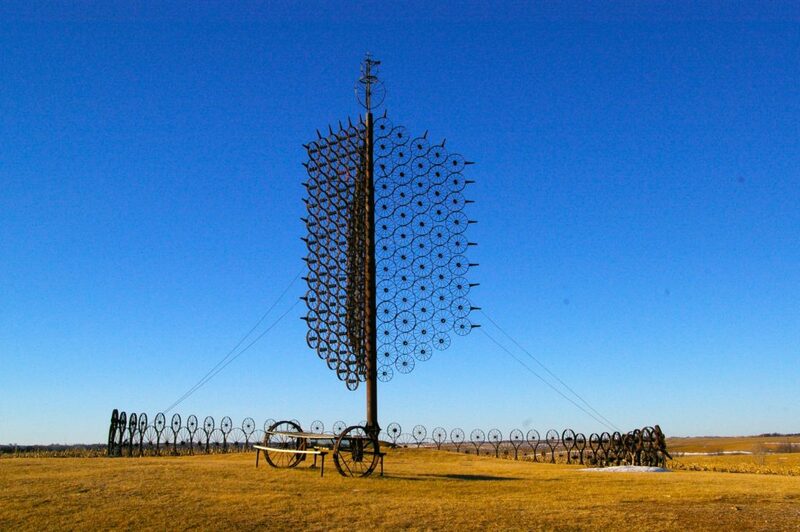 Maasdam wheel art on Roadside America. Most of the photos were small and showed very little of what the sculpture actually looks like, but on a whim, we got off the highway. And I’m here to let you know: it’s better than you could imagine in person.